If you’re planning on spending Christmas or New Year’s Eve in Bali then think ahead about your beverage needs and and consider picking up a bottle of wine or spirits in duty-free. It will probably be cheaper, and you’re also more likely to find your drink of choice in stock. This beautiful little island is a fantastic place to celebrate, but when it comes to buying alcohol, Bali suffers the restrictions of being part of the mostly Muslim country of Indonesia. For tourists and holiday goers this translates to high costs for wholesale alcohol as well as fewer choices. Below we lay out your options, explain the liquor tax system and make some sneaky recommendations for places to buy booze once you are here. Our goal? Get you out of the office, onto a plane and into a luxurious lounger by the pool. Imagine the Bali sun with a refreshing gin and tonic or your favourite glass of wine this holiday season. Bliss! Read on to discover our secret liquor purchasing spots and if you haven’t booked a villa yet, click here to see the properties we have available over the holiday season. 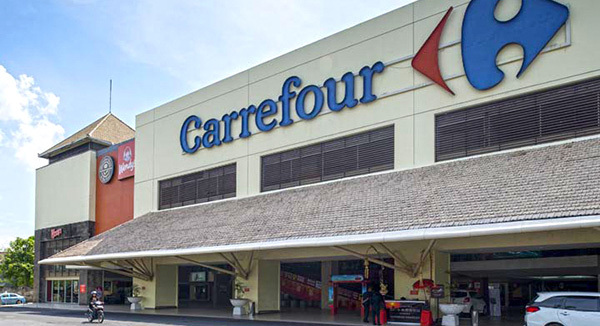 Before you stock up at the duty-free counter, remember that you can only legally bring in one litre of alcohol for each person arriving in Denpasar. Most people choose spirits because the rules are the same, one litre of anything, even though wines aren’t as strong. Recently some visitors have been feeding back that to Trip Advisor that they’re getting through Bali customs with 1.25 litres but don’t say we didn’t warn you! Whatever you do, don’t buy beer with that measly allowance. One other thing, make sure you buy your alcohol in Australia or at your last international destination. All alcohol that comes to Indonesia is taxed so if you wait until you arrive in Bali to purchase it, you’ll be paying extra in import taxes even though the sign says “Duty-Free”. Finally, once you’re here in Bali consider drinking at home. All of our villas are stocked with yummy wine and spirit glasses, and this may be the best option on the wallet, as if you do take alcohol to a restaurant you’ll be expected to pay corkage. What’s The Cost of A Night Out Drinking in Bali? Each establishment has the right to set their own prices, but here we’ve included some averages so you can budget for your night out and make sure you don’t feel like anyone is taking advantage. 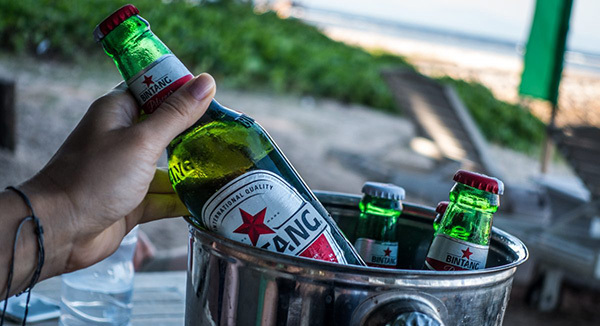 On the low end, you can generally find local beer such as Bintang for between $1.50 and $3 in a bar. There are also cocktail 2 for 1 specials in many clubs so if you want to save up, check out the Bali Bible and try somewhere with drink specials. If you want to drink at the more well-known beach clubs like Cocoonor Potato Headexpect to pay about twice as much for a beer and around $10AUD for a cocktail. And for those who really want to impress their guests, we recommend the more high-end restaurants like Metis or The W where you can expect to pay around $9 for a beer and about $16 for a cocktail. Unlike accommodation, a night out clubbing in Bali isn’t as affordable as you’d think. Where Can I Buy Quality Wholesale Alcohol in Bali? In June 2015 Bali’s alcohol import tax increased to 150% of the product’s market price for spirits and 90% of the market price for wines. This means it’s wise to look around and get good deals when you can. Not all shops have the same products, and everyone has different prices. 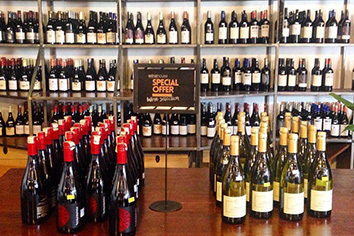 Here is a list of handy spots you can find quality beer, wine and spirits in Bali. These guys are a chain, and they also have a listing on the Gojek application so you can order in to your villa and stay on that lounge! Red and White are well known for stocking international gin, vodka and whisky brands. 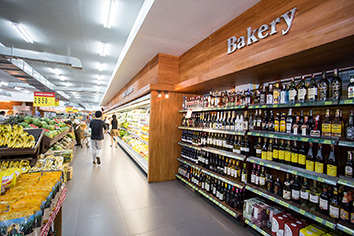 For a good selection of spirits and wines, they have many stores, and while they may not be the cheapest, they can be relied upon for the basics. Luckily you can also get your mixers and fruits here. 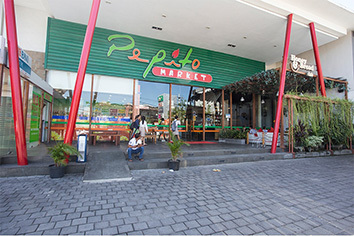 If you’re in Seminyak, don’t forget to try Bintang Supermarket! It’s an emporium of anything a traveller could need whilst on the island. 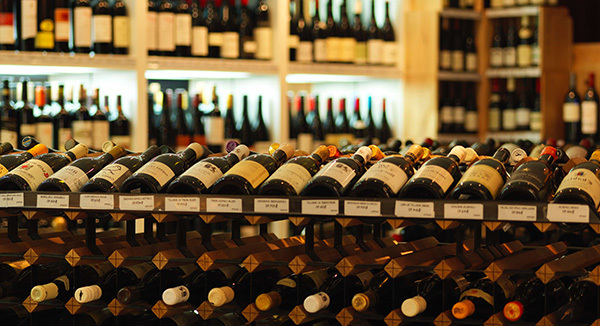 This French chain is also a reliable stockist of spirits, wines and beers. They also have great cheeses and olives if you’re thinking about creating a cheeseboard to go with your wines. 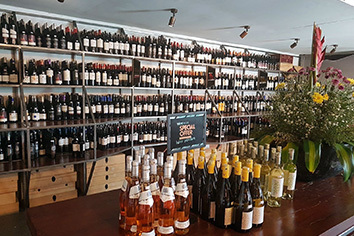 The Winehouse is perhaps the best place to buy wines on the island with everything from light, crisp white wines to bolder red wines being stored well in their Kerobokan premises. 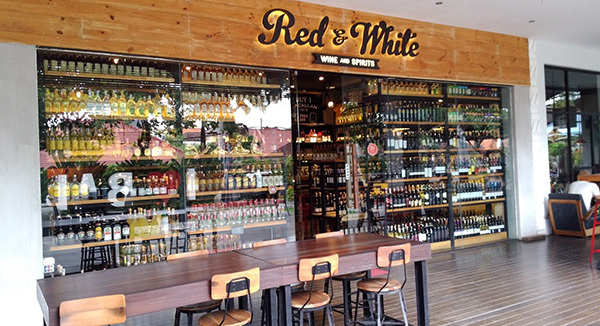 Based in Seminyak, Bali Liquor Store has a consistently good range of stock. It’s a one-off spot that can usually be trusted for a nice bottle of gin or an aged whisky. Look it up on google maps as it can be a little tough to find. What’s The Local Alcohol Like In Bali? The most common beer here is Bintang, it’s a pilsner with 4.7% alcohol. You can also get San Miguel, Proust, Bali Hai, Anker and Stark. It may pay to avoid the local spirits as they can be overwhelmingly strong. Arak is the most popular and is made from coconut palm or rice. Bali Moon is a flavoured liqueur that is very sweet, and Tuak is a type of rice wine. The only time we’d really drink these is in a cocktail made by bartenders at an upmarket hotel. Local wines are from Plaga and Hatten as well as Two Islands. 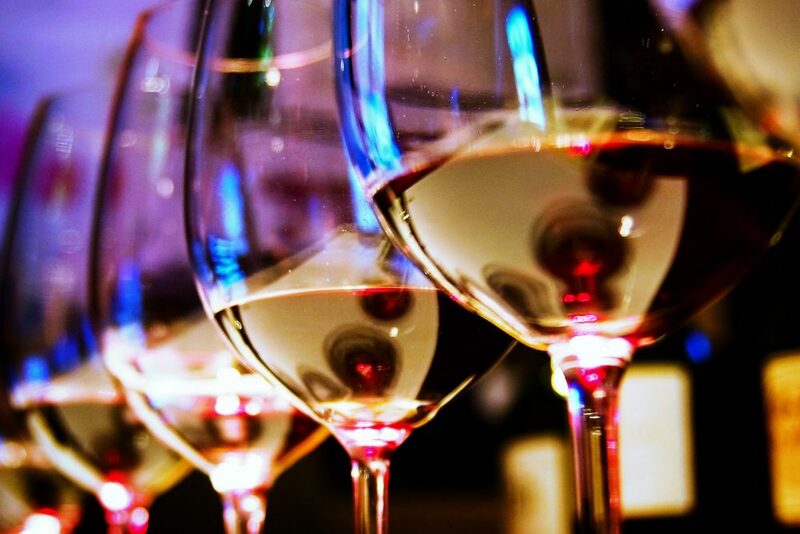 Sababay Winery is a new one that’s creating crisp white wines which go down well with a spicy curry. Most of the time you’ll be absolutely fine but we’ve all read those crazy news stories so here are a few things to stay aware of. Caution is always wise, but if you’re drinking in decent establishments, you shouldn’t worry too much about what you’re consuming. If anything it may be watered down a little. Be aware of the more low-end bars or anyone who’s offering a deal that seems outrageously cheap. Sometimes the local spirit, Arak is used in place of other alcohol, but if this happens, you’re likely to become aware of the taste long before you finish the first drink. The more important thing is to stay sharp. If your cocktail tastes funny, then don’t have another one and certainly don’t buy counterfeit liquor that’s not packaged correctly. Also look out for broken seals and stay away from bars that are messy or unkempt. Bali is a beautiful place to relax and take the edge off. It’s the end of the year, and we know you’ve been working hard so why not spoil yourself a little! 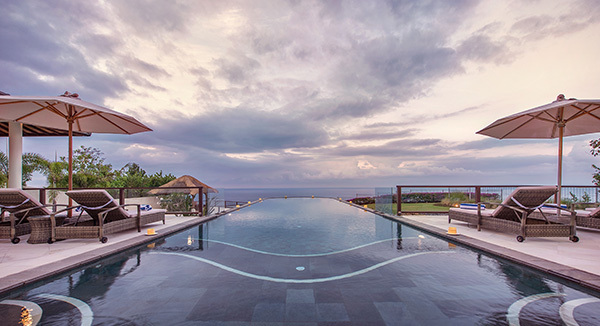 Unlike alcohol, Luxury accommodation is more affordable in Bali than almost anywhere on the planet, so browse our range of gorgeous villas here. We hope you have an unforgettable holiday celebration!